This month the challenge is to follow a sketch. I decided to follow it as exactly as I could. Working with an A3 piece of card I cut it down to be 8x8. 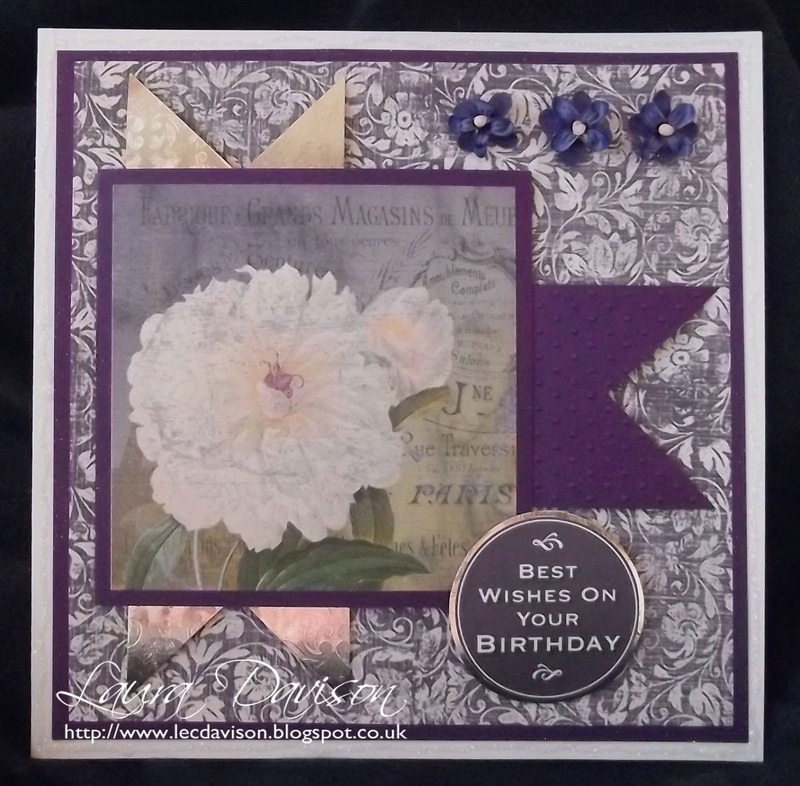 I used the Fleur Francais CD and chose design 3 of the pyramid selection but only used the first layer so I had a big bold flower in the purple shade. I then chose suitable backing papers from the sets using 3 again so I knew the colours would match. 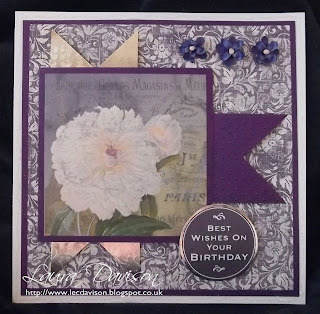 I used a rich purple card to mat and layer. For the bow tails I decided to make two in embossed silver mirri and the third in the purple card. To lift is a little I embossed it using the swiss dots embossing folder. The sentiment is aslo from the CD and I mounted that on silver mirri card and cut a very thin border. The three little flower heads complete the design. The simple sketch is a good idea to keep to one side if you ever run dry of ideas it will act as a starting plan to get you playing. 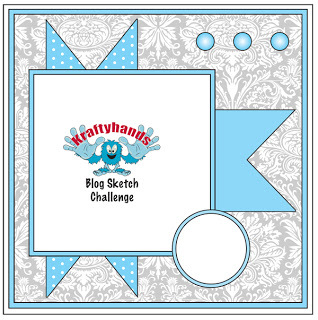 Hope you like the card and can join us playing with this months challenge using Kraftyhands products. Pretty card. 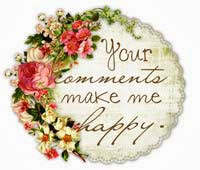 Hi Laura , clever use of floral image and paper colours. Thanks Shirley-Anne. I think all the cards look stunning again this month. Had difficultly getting mine on my blog this morning. I had scheduled it to go on this morning and it didnt so had to start all over again. This is gorgeous Laura, I love the colours. Thanks Linda, Andree and Daniele. The colour choices are easy once the main image is chosen on the CD. As you know you just follow the suggestions on CD.